Share the post "Ethnic Rice Recipes"
It is perhaps the most basic item on your shopping list, but you may not realize just how versatile rice really is. There is a reason why just about every culture enjoys this pantry staple. Try one (or more) of these yummy ethnic rice recipes and please your family and friends this week! Add an Asian spin to your dinner with this specialty rice dish. It looks more difficult than it actually is and is sure to impress everyone! Steak (your choice of cut, cubed), 1 ½ lbs. In a food processor, combine the pear, ginger, garlic, and brown sugar; puree until smooth. Transfer to a large mixing bowl; add in the steak. Place in refrigerator to marinate (it is best to marinate 24 hours in advance). Meanwhile, cook the rice with the rice vinegar and water until done; set aside. Combine the soy sauce, lemon juice, balsamic vinegar, sesame oil, and sriracha in a small bowl. Heat stovetop grill to medium-high. Place the onion on the grill; cook for about 30 minutes, flipping halfway through. Now grill the steak for about 10 minutes, depending on desired doneness. 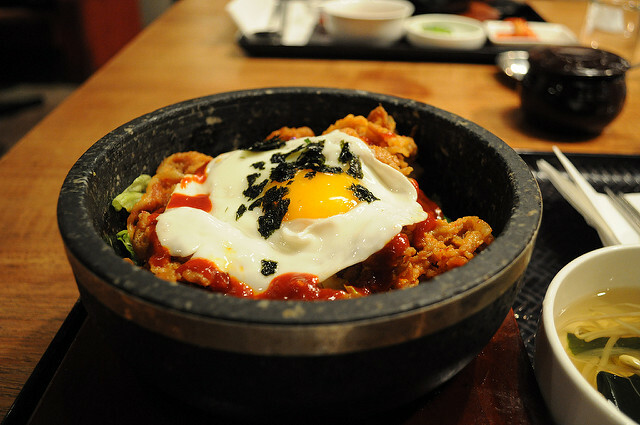 Heat oil in a skillet and cook the eggs sunny-side up. Add the broccoli; saute about 5 minutes. Fill serving bowls with rice, steak, onions, broccoli, and one egg. Drizzle marinade over top; serve. 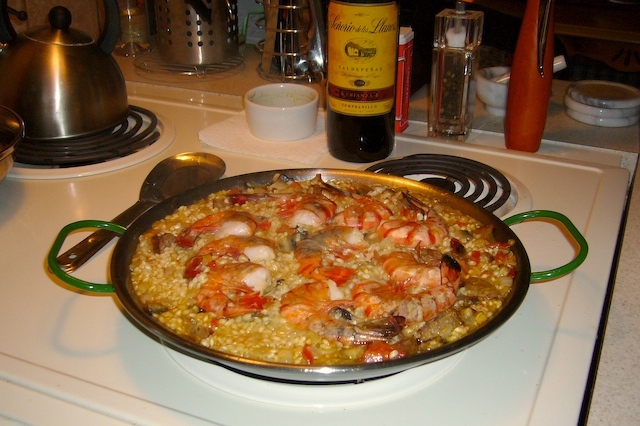 A delicious must-have dish when in Spain, you can recreate paella in your own home. Be sure to get a nice crust on the bottom of the skillet to get that authentic taste. Shrimp (peeled, deveined), 8 oz. Place the onion, celery, garlic, and tomatoes in a food processor; pulse; reserve. In a large skillet, heat 2 tablespoons of olive oil; add shrimp and cook 4 minutes; place on serving platter. Place the tomato mixture and the rest of the oil in the skillet; cook 10 minutes. Add wine; boil. Add paprika, sugar, salt, and saffron; cook while stirring. Add the rice and cook 5 minutes, stirring frequently. Cover, reduce heat, cook 15 minutes. Remove from heat; top with shrimp, olives, and lemon juice. Let cool before serving.